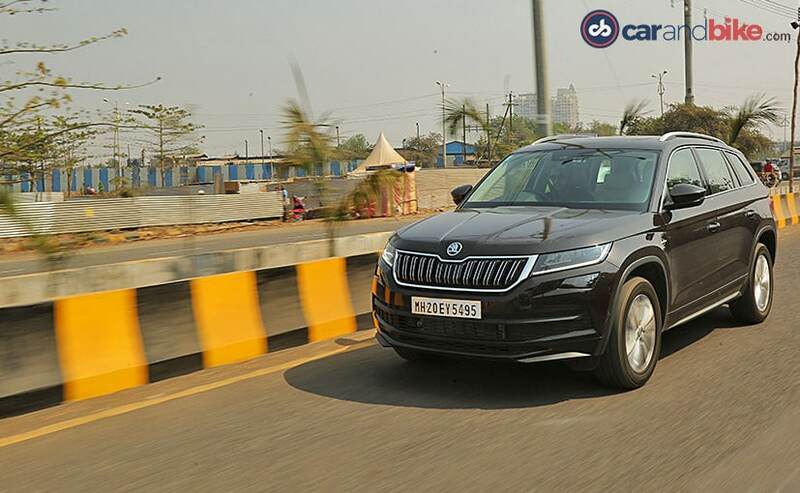 First introduced at the 2018 Geneva Motor Show , the Skoda Kodiaq Laurin & Klement edition made its way to India in November 2018 and we get our hands on the new luxurious version of the SUV. 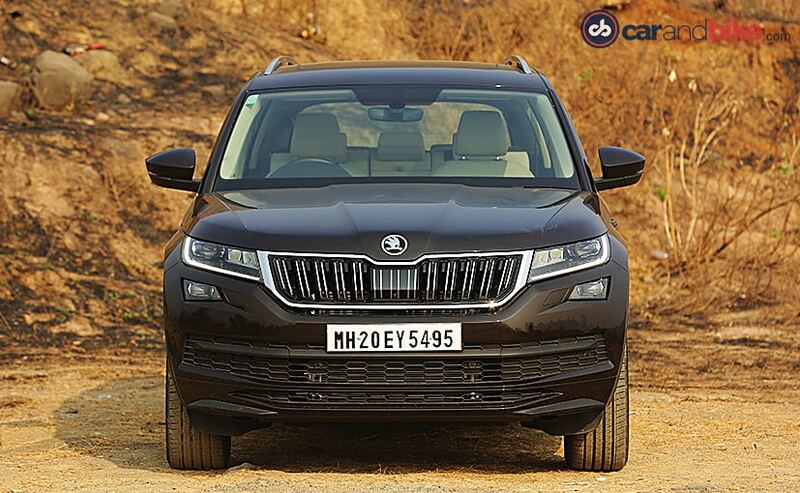 Skoda's flagship SUV - the Kodiaq - made its India debut in 2017 and since then has been one of the strong competitors in the full size SUV segment in the country. It has been a winner, when it went up against the new generation of the Honda CR-V. When we compared it with the Honda CR-V we said that the Kodiaq lacked a bit of flashiness; and that's because the CR-V brought a lot of bling to the table. But no matter, it looks like Skoda has heard what we said, because it decided that it needed to Jazz up the SUV and brought in the Laurin and Klement variant of the car. First introduced at the 2018 Geneva Motor Show , the SUV made its way to the country in November 2018 and since then, we've been waiting to get our hands on it. It's a bit jazzed up now. There's more chrome to add that premium touch to the SUV. There was always chrome surrounding that front grille and the side but now it spills on the slats of the grille. You see some more of it on the roof rails and the rear diffuser. Of course there's the Laurin and Klement badging on the side too. So it's not over done and it does not look overdone. 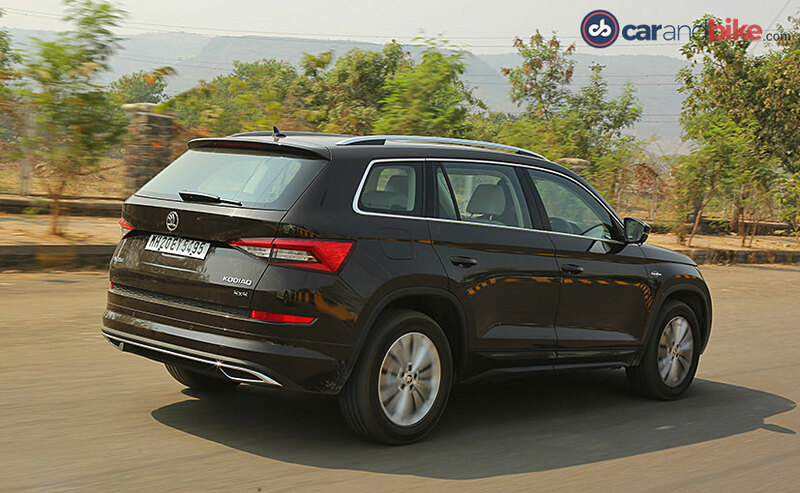 It's subtle and extremely tasteful and enhances the look of the Kodiaq. There are no changes in terms of design and the Kodiaq L&K still looks sophisticated, thanks to the crystalline design elements. The front end is sharp-looking with those sleek all LED headlamps. The sculpted bonnet along with the very prominent shoulder lines gives it a bit of muscle as there's nothing on the side to accentuate that. The name of the SUV is also embossed on the aluminium door sill scuff plates. And there are more features awaiting you in the cabin. The most prominent change that you see once you get into the cabin is this dual tone beige and black interiors and it looks better than the all black treatment. It does appear more spacious now and bodes well with the new Magnetic brown colour of the car. But the biggest change is here, the instrument cluster. The Kodiaq now gets the virtual cockpit which gives you all the information at your fingertips. It's the same technology that we've seen on Audi's in the country and you can browse through everything from navigation to fuel economy to even your music needs. Scrolling through information too is no hassle. It's just so much better now. 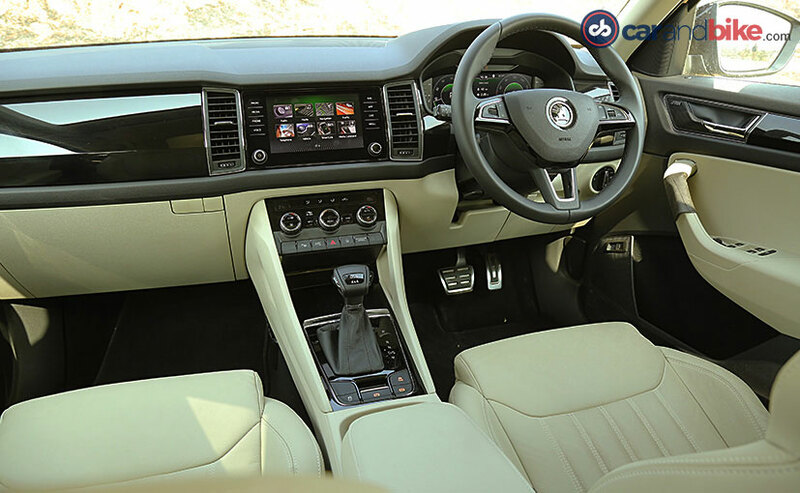 There's also a 360 degree camera which is really helpful because it gives you a top view of the car and this helps you get out of a tight spot and that's needed, considering that the Kodiaq is a pretty big SUV. 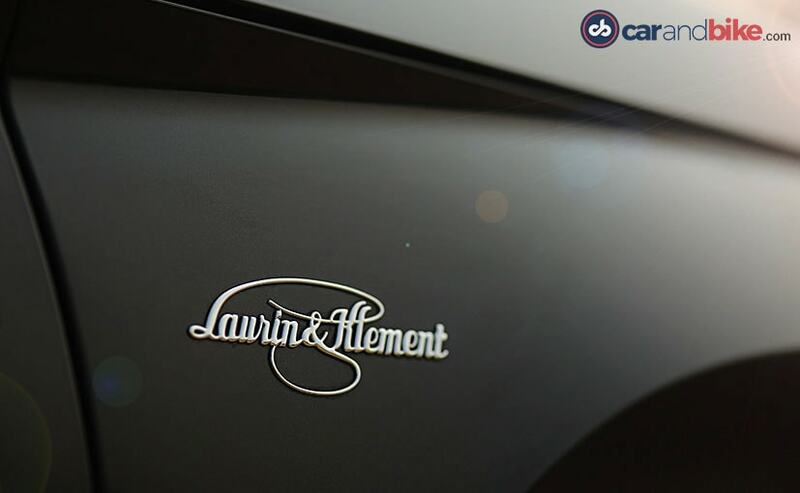 Some more 'Laurin and Klement' logos are visible on the inside. 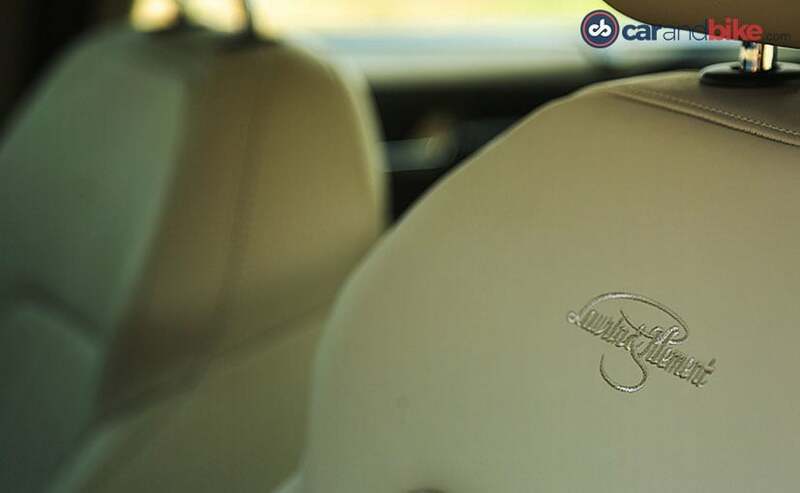 They're stitched on the front and back seats and that again is an elegant touch albeit not new. 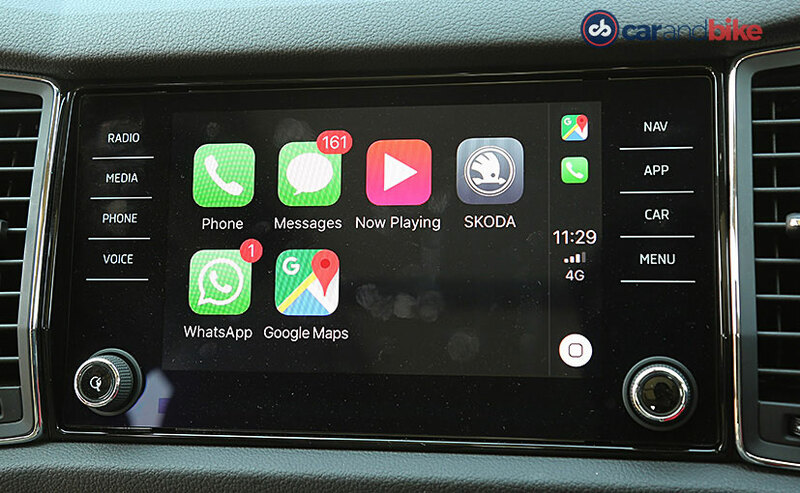 At the centre of the dashboard is an 8-inch capacitive touch display with SmartLink that offers SmartGate, Apple CarPlay, and Android Auto and the rest of the features like a panoramic sunroof continue to be part of the package. On the safety front the Kodiaq L&K continues to get 9 airbags, along with a host of features such as ABS, ESP, traction control, all-around parking sensors, reverse-parking camera, the works! There's no change in the engine on offer. 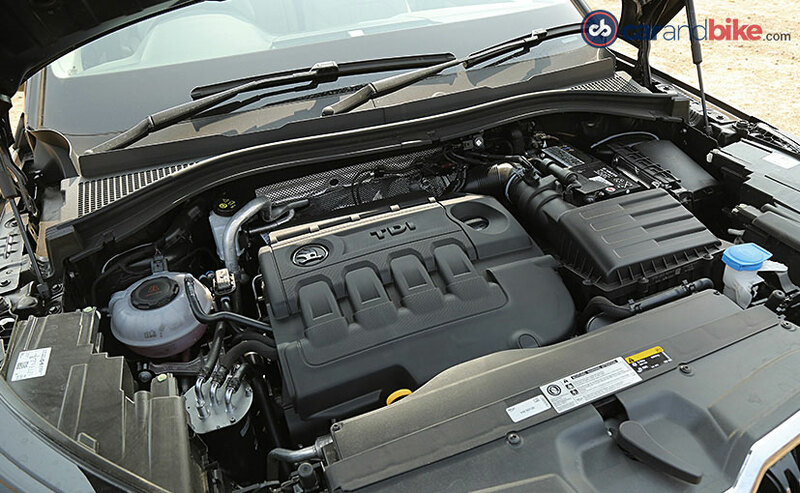 It still comes with the same 2-litre diesel engine. 148 bhp on offer and 340 Nm of torque to deal with and it's smooth sailing here. The 7-speed DSG continues to be part of the Kodiaq and of course there's 4x4 on offer too. 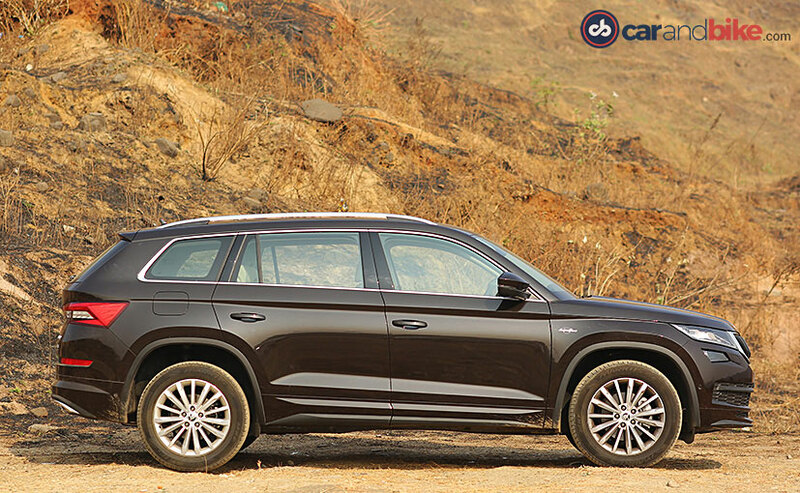 The ride and handling is one department where the Kodiaq showed its prowess and it continues to do so. There are different driving modes to choose from Eco, Normal, Sport, Individual and Snow and the suspension setup cannot be faulted as it takes all the undulations and the potholes in its stride. There is a bit of roll though if you through it into the corner and we wished the steering had some more feel to it, but it's quite the highway cruiser and you wouldn't mind being stuck behind the wheel of this one, the whole day. But the L&K trim is priced at ₹ 35.99 lakh (ex-showroom India), and that means it's close to ₹ 1.50 lakh more expensive than the Style variant and this is when you start asking the question whether it is a more value for money offering. The Kodiaq has always been more expensive than its closest rivals but the L&K trim actually takes it further away and enters the luxury segment category with this pricing taking the fight to cars like the Mercedes-Benz GLA, Audi Q3 and even the Volvo XC40. 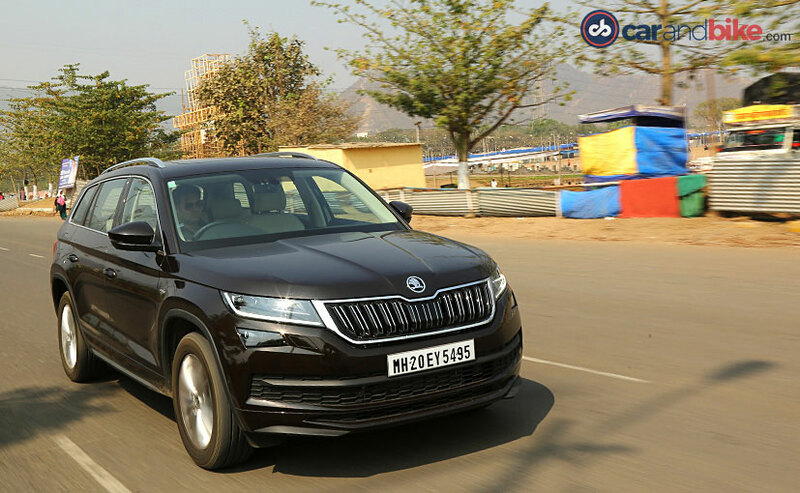 When you start comparing it to these cars, it is then that you realise, how value for money the Kodiaq L&K really is. It drives well, has two additional seats, has more space on offer and more power too. Well, if you want the joy of owning a badge, then we won't come in the middle of that decision, but practicality points out to the Kodiaq L&K being the better choice.